An Intrusion Detection System (IDS) is a device or software application that monitors network and/or system activities for malicious activities or policy violations and produces reports to a Management Station. Some systems may attempt to stop an intrusion attempt but this is neither required nor expected of a monitoring system. Due to a growing number of intrusions and since the Internet and local networks have become so ubiquitous, organizations are increasingly implementing various systems that monitor IT security breaches. Intrusion detection systems (IDSes) are those that have recently gained a considerable amount of interest. An IDS is a defense system that detects hostile activities in a network. The key is then to detect and possibly prevent activities that may compromise system security, or a hacking attempt in progress including reconnaissance/data collection phases that involve, for example, port scans. 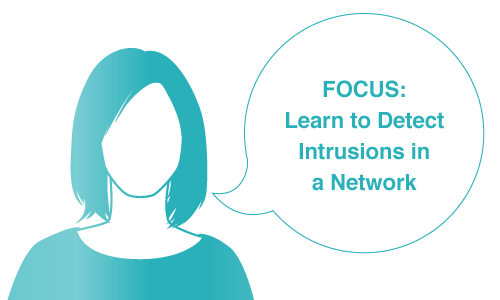 In order to become an expert penetration tester and security administrator, you must have a solid understanding of network intrusion prevention system (IPSes), IDSes, malicious network activity, and log information.